A strong brotherhood since 1856. Theta Chi Society, as it was originally known, was founded on Thursday, April 10, 1856 at 9:00 pm on the campus of Norwich University in Norwich, Vermont by Frederick Norton Freeman and Arthur Chase. At that time Frederick Norton Freeman '57, and Arthur Chase '56, met in Freeman's room in the Old South Barracks of the University and, to quote from the minutes of the first meeting, "being called to order by Mr. Chase, Messrs. Chase and Freeman mutually took the oaths prescribed and declared each other true and accepted members of the Theta Chi Society." From this humble beginning Theta Chi Fraternity has grown to its present status. 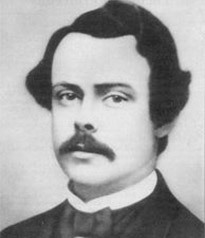 The founder of Theta Chi Fraternity, Frederick Norton Freeman, was born in Claremont, New Hampshire, on March 2, 1839. His ancestors on his father's side had been in America since the early sixteen hundreds. The grandmother of Freeman was a Chase, and through this circumstance Freeman and Arthur Chase were distant cousins. Freeman attended Claremont Academy and entered Norwich University at the age of fourteen. he received the degrees of B.S. in 1856 and B.A. in 1857 and A.M. in 1860. In the years of 1858 and 1859 Freeman read law in his father's office in Claremont, New Hampshire, and was admitted to the bar, but did not practice. In 1864 Freeman became the first superintendent of the Pennsylvania Coal Company at Newburgh, New York. While engaged in the construction of a new dock for his company at Newburgh, Freeman contracted a severe cold which progressed rapidly to pneumonia. He died suddenly on March 28, 1867, at the age of 28 years. Freeman was a young man of great promise and achievement, who held positions of responsibility and trust far beyond his years. It was unfortunate that his span of life was so short. Arthur Chase was born at Bellows Falls, Vermont, on October 21, 1835. His father was an Episcopal minister who later became the first Bishop of New Hampshire. When Arthur was nine years old the family moved to Claremont, New Hampshire, and this town remained his home for the balance of his life. Chase entered Norwich University in the fall of 1852, shortly before he became seventeen years old. He was graduated in 1856 and immediately entered a law office in Claremont to begin the study of law. He followed this study by attending the Harvard Law School from which he graduated in 1857 with the degree of LL.B. 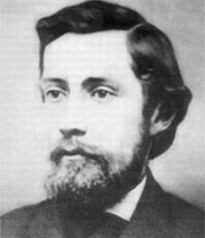 He practiced law in Claremont for nine years and then entered newspaper work, purchasing The National Eagle, a weekly newspaper published in Claremont, in 1868. Chase was married in 1863 to Garafelia Davis. Seven children were born of the union, four of whom, two sons and two daughters, reached adult life and survived their father. After three years of newspaper work, Chase's health failed, and on the advice of his physician he retired to a farm he purchased on the outskirts of Claremont. Arthur Chase was always a power in his community. At one time he was superintendent of public schools and filled the position with considerable efficiency. He was a staunch Episcopalian and active in church and diocese affairs until the time of his death. Although Arthur Chase never enjoyed robust health, death came unexpectedly and suddenly on November 20, 1888. Chase was 53 years of age at his death, living scarcely beyond middle life. It was said that he lived more in fifty years than most men do in three-score and ten. In 1922, eight men formed an organization known as the Gamma Sigma local fraternity (G stood for "gentlemen", S stood for "scholars"). The group was also known as The Cupids-the fore-runners to our modern Alpha Phi chapter at the University of Alabama. 1926-1961: The first Theta Chi Fraternity Chapter House faced the quad and was located on the site of the current ROTC building. In February of 1926, a petition for charter was tendered to the Grand Chapter of Theta Chi. The petition was subsequently granted and Gamma Sigma was made Alpha Phi Chapter of Theta Chi on May 7, 1926. The installation ceremonies began Friday, May 7th, and ended the following evening with a formal banquet at the Hotel McLester in Tuscaloosa; immediately followed by a dance at the Tuscaloosa Country Club. From 1922 to 1925 The Cupids were housed in a three story colonial home near the campus. In 1926, with its newly-granted charter, Alpha Phi moved to a new home on campus (located on the Quad) which had been built especially for the organization by the University. However, due to the University's need to expand, in 1961 the Alpha Phi house (located on the Quad) was demolished and a new home was built at 501 Jefferson Avenue. 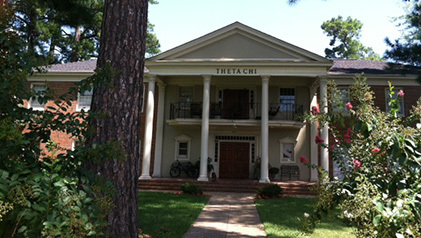 This location serves as the current Chapter House for Theta Chi at Alabama. In 1969, Dale Taylor petitioned for the Ladue Fund (Emergency Fund established in 1950). The Fund is administered by the Grand Chapter for emergency use. Dale Taylor later won the Colley Award, the highest honor bestowed to a Theta Chi Brother. Currently, Brother Taylor serves as the National Director of Theta Chi. In 1971, Harry B. Lackey co-signed for a $25,000 note to expand the Chapter House. 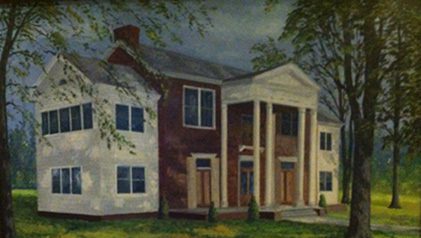 With this gracious gesture, Alpha Phi constructed its New Wing ("The Lackey Wing") in 1971. 1961-2014: The second chapter house was built in 1961 and is located on Jefferson Ave. It was sold to Phi Sigma Kappa Fraternity. Our brothers are talented. Each year, the National Chapter recognizes outstanding chapters with the Alter Award & the Colley Award. These are the highest honors bestowed upon a chapter and brother, respectively. With great pride, Alpha Phi men continue to be recognized for improving the lives of its members and the university community as a whole. Former Fieldmen who served under longtime Executive Director Howard R. Alter, Jr., inaugurated the Howard R. Alter Award for Chapter Excellence upon the occasion of his retirement. The award recognizes up to ten percent of Theta Chi’s chapters for overall excellence. Alpha Phi received recognition in the inaugural year of the award, and the chapter has received it seven times since 1986.